Don Mitchell spent his entire life in aviation. Why? Let him tell you: "I love gliding and soaring and the beautiful gliders and sailplanes, from the primary's to the hot glass jobs of today." Don saw a dirigible fly over the family home in Scotland when he was five years old. Thus began his lifelong love of aviation. The family moved to Alameda, California in 1921 where Don spent his childhood building model airplanes, winning contests, reading aviation books and magazines and spending many hours at the Oakland and Alameda Airports. He worked on a high school aviation club's primary gliders, under the supervision of a French WW I pilot. Don loved to build and soon became skilled in metal, wood, honeycomb and composite structures. His record setting aircraft are on display in exhibition halls and museums - including the SSA. He frequently lectured at the SHA (now ESA) Western Workshops in Tehachapi, California. His serious study of aircraft design and construction began in 1937 when he became Hawley Bowlus' right-hand-man for the next eleven years. He became the owner of the original Baby Albatross and, in 1938, was elected President of Bowlus Sailplanes. He also flew the Baby Bowlus for many hours doing auto, pulley, winch, airplane and horse tows. 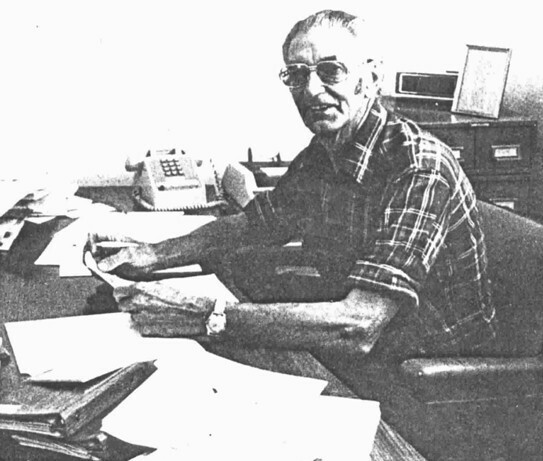 He became the Soaring Editor of Western Flying Magazine. During WW II, he became responsible for the construction of the wings of the CG-4A. In 1943 he had responsibility for the building of the XCG-16 prototype. At the same time he was working on his own flying wing, model 278. One of his most interesting projects was the conversion of a 1/2 scale XCG-16 which he converted into a flying wing using external stabilators for control and stability. He, along with Hawley Bowlus and Paul Tuntland, flew the wing many times at the various dry lakes. They towed with both auto and airplane with no major problems. He continued working with Hawley Bowlus in the postwar years on such gliders as the Dragonfly two-place side-by-side, pod and boom glider which had originally been known as the Bumble Bee. He worked with Ted Nelson and Harry Perl on the design and construction of the "Post Dragonfly, Pre-Hummingbird" powered glider. Working together with this group, eventually the Hummingbird emerged - complete with retractable engine. After that milestone, Don built a new flying wing, the Osprey. He also designed and built the Nimbus sailplane series, all wood except IV which had a metal fuselage. He had good success with the Mitchell Wing hang glider which took 23 days to design and build. This design won top awards. He also designed the Mitchell U-2 which held the world's maximum altitude record for its class at 26,000 feet.